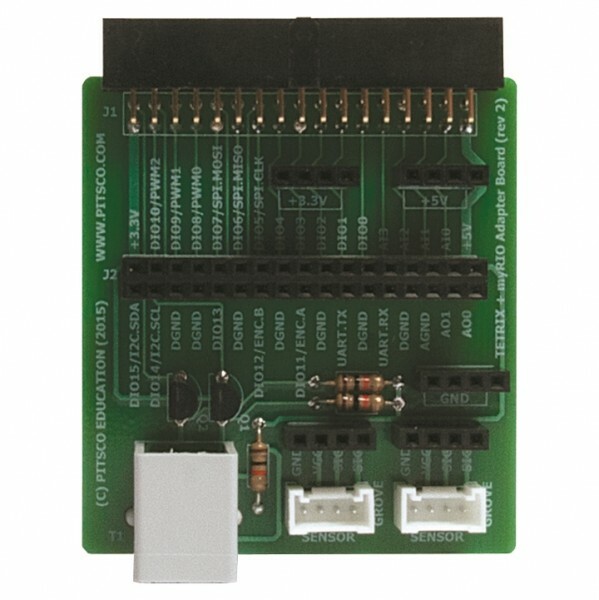 Produktinformationen "TETRIX® + myRIO Control Board Adapter"
The TETRIX® + myRIO Control Board Adapter is designed to easily connect TETRIX Motor Controllers to the NI myRIO. It also contains a built-in logic-level shifting circuit, Grove sensor-family connections, a Gnd expansion port, a 34-pin myRIO I/O expansion port, a +3.3 V expansion port, and a +5 V expansion port. Weiterführende Links zu "TETRIX® + myRIO Control Board Adapter"
Weitere Info "TETRIX® + myRIO Control Board Adapter"
Kundenbewertungen für "TETRIX® + myRIO Control Board Adapter"